This 3,258-sf estate home at The Landings on Skidaway Island is located at 1 Tidewood Court and enjoys views of hole No. 13 on the community’s Deer Creek course. It was totally redesigned by John Mandrel and offers additional lagoon views from its screened porch. Known for its warm sense of community, The Landings on Skidaway Island offers more than 100 social clubs, including New Neighbors and Landings Landlovers, making it easy to find new friends and create life-long friendships. The Landings Association also owns a number of Rhodes 19 sailboats and the Sailing Club meets every weekend for enjoyment and competition. Delegal Creek Marina offers kayak storage and rental and the kayak club meets regularly. In season BBQ’s with entertainment are held at both the Delegal Marina and Landings Harbour Marina. Send me more about this home in The Landings! This custom-crafted Mediterranean-style home at 63 Wood Stork Court sits within the Georgia coastal community of Osprey Cove. Featuring three beds and three baths, it enjoys a private location with a natural buffer of magnolia trees and palmettos. Send me more about this home in Osprey Cove! Stretching across 1,059 acres of lush coastal Georgia terrain, Osprey Cove is only a few miles from unspoiled sandy beaches and is just minutes from Jacksonville, Amelia Island and historic St. Marys. Famed Cumberland Island is just a ferry ride away. Send me more about this home in Osprey Cove! Whether you want to play tennis on the Har-Tru clay courts, exercise in the state-of-the-art fitness center, relax at the pool (open year-round), take in a fitness class such as Zumba or Yoga, or attend one of the many interest-club meetings, such as the Garden Club or Bridge Club, you’ll find plenty of fun things today. Send me more about this home in Osprey Cove! Whether you are looking for a quality pre-built home or want to build your own vision on the perfect homesite, Osprey Cove offers you compelling options. Everything from smaller, maintenance-free single-family homes to dramatic custom homes are available. And if you want to build, choose from among homesites with views of the golf course, lake and preserves or dockable homesites with views unrivaled in the area. Send me more about this home in Osprey Cove! This 3,562-sf, one-story residence at 6 Pelham Road, well-shaded by majestic oaks, features large window views of a peaceful lagoon from all rooms at the back of the home. Homes at The Landings range in price from $250,000 to more than $2 million. 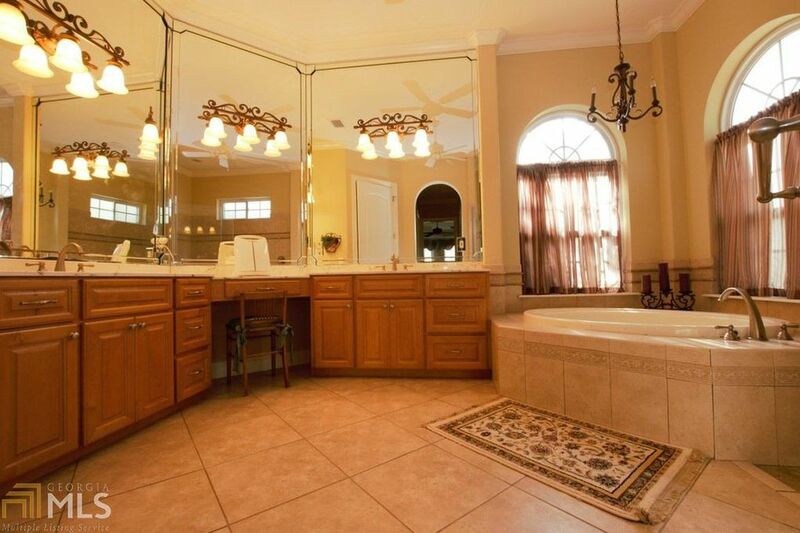 Lots range from patio to full-size and estate lots, offering golf, lagoon, river, wooded and marsh views. Lots at The Landings on Skidaway Island range in price from $70,000 to $400,000. Send me more about this home in The Landings! This like-new patio home at 24 Half Penny Circle is wonderfully sited, with fine views of a peaceful lagoon and fairway to green views down hole No. 6 of the Plantation golf course. This handsome Lowcountry-style home at 121 Bartram overlooks the second green of the Magnolia Course at The Landings on Skidaway island, plus the fairways on Marshwood and Magnolia’s No. 18. It offers 3,470 sf of living space on a two-thirds-acre lot. The Landings on Skidaway Island is a community of custom homes reflecting personal expression through a wide variety of architectural styles, while unity is ensured by The Landings Architectural Review process. Lots range from patio to full-size and estate lots, offering golf, lagoon, river, wooded and marsh views. Send me more about this home in The Landings! This custom built brick home at 1030 Greenwillow Drive is built on an estate-sized lot, with relaxing water views from the private back yard. Stretching across 1,059 acres of lush coastal Georgia terrain, Osprey Cove is only a few miles from unspoiled sandy beaches and is just minutes from Jacksonville, Amelia Island and historic St. Marys. Famed Cumberland Island is just a ferry ride away. Send me more information about Osprey Cove! Designed by Mark McCumber & Associates, the layout is a testament to McCumber’s commitment to establishing a course that is defined by the natural characteristics of the land and river. Send me more information about Osprey Cove! Whether you are looking for a quality pre-built home or want to build your own vision on the perfect homesite, Osprey Cove offers you compelling options. Everything from smaller, maintenance-free single-family homes to dramatic custom homes are available. And if you want to build, choose from among homesites with views of the golf course, lake and preserves or dockable homesites with views unrivaled in the area. Send me more information about Osprey Cove! Reynolds Plantation, Greensboro, GA’s golf- and pond-view home with 3 BR/3 BA and a 2-car garage lists for $795,000.